Karen Lloyd’s award-winning The Blackbird Diaries has been selected as one of the 12 must-read titles by northern authors in this year’s Read Regional campaign. New Writing North’s Read Regional campaign, funded by Arts Council England, sees the 12 new titles stocked in libraries across the North, while the authors take part in 85 events around the region between March and June 2019. 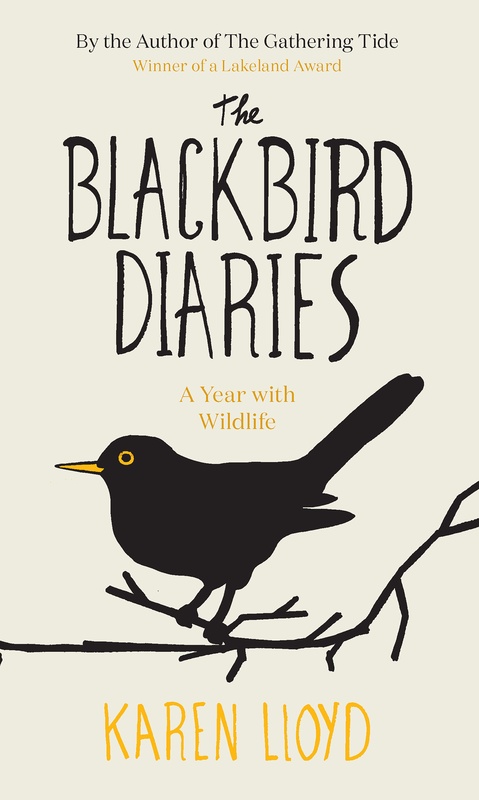 Over the space of a year, The Blackbird Diaries chronicles the drama of the natural world as it all unfolds in Karen Lloyd’s garden and in the limestone hills and valleys of Cumbria’s South Lakeland. And she issues a clarion call for the conservation of endangered habitats and species – most notably the curlew, Europe’s largest wading bird. The Blackbird Diaries won the Bookends Prize for Art and Literature at the 2018 Lakeland Book of the Year Awards. Karen’s previous book, The Gathering Tide, also won a Lakeland Award in 2016.